Materials: Brass, brass tubes. Black acrylic, white swirled ribbed Rotaflex (cellulose acetate). Pull cord switch. White Bakelite sockets. Manufacturer: Rotaflex Ltd, Rotaflex House, 241 City Road and Princess Street, London, Great Britain – attributed. The Rotaflex plastic type was invented by Rotaflex together with the French company A.R.P. – L’ Atelier de Recherche Plastique (Plastic Research Workshop). Rotaflex was founded in 1953 and led by Bernard Stern who brought the company in a few years to one of Britain’s leading lighting makers. 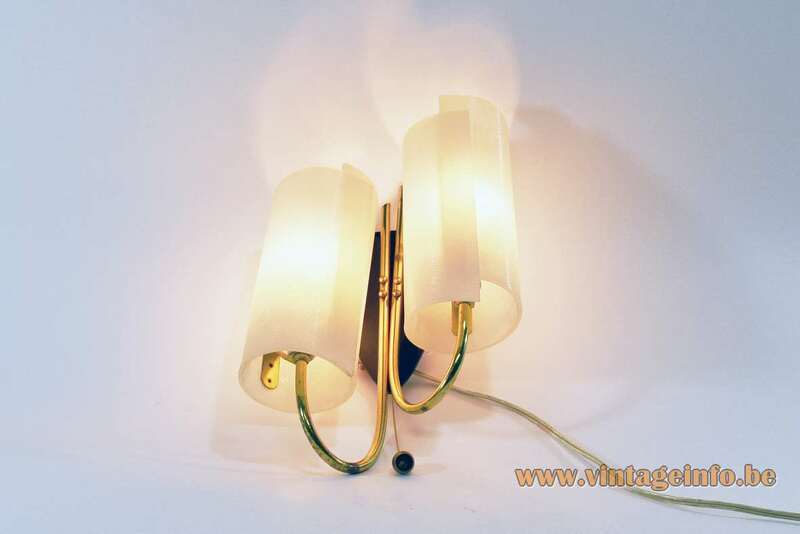 John & Sylvia Reid were two of the most well known consultant designers for the lighting manufacturers Rotaflex. They are famous for their Metallux, Interplay, Honeycombs, Fernland Cylinders, Sphere lamp designs and many more. 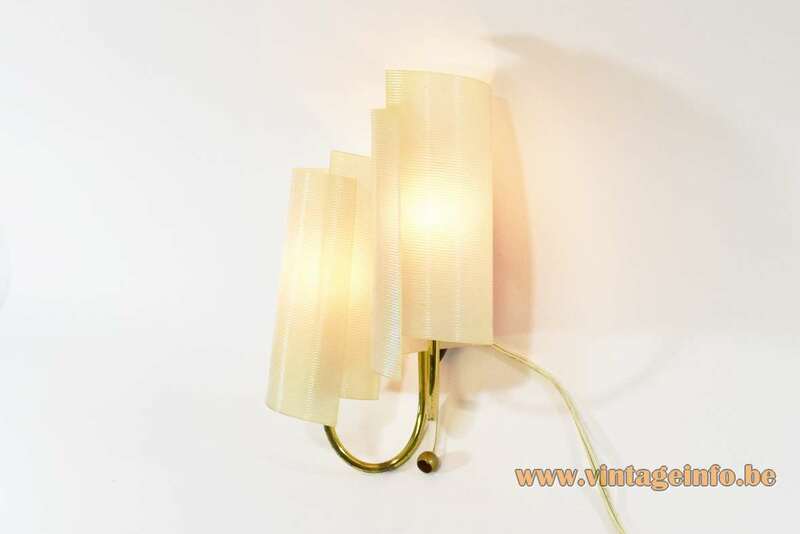 They also designed many of this type of plastic lamps. John & Sylvia Reid also designed furniture for Stag between 1952 and 1962. Their S-range furniture is back in production, you can find it on their website. 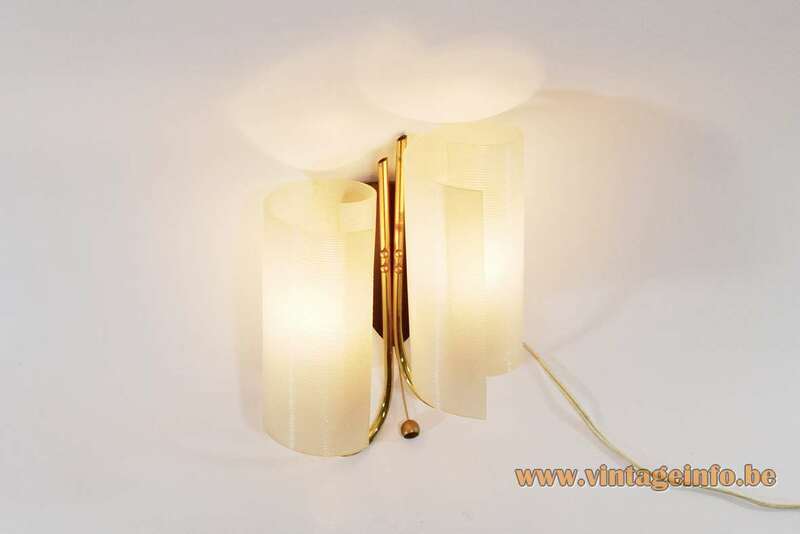 Rotaflex received several design awards, among others, iF Design awards for this type of pendant lamps in 1957. The Rotaflex company no longer exists. The Atelier de Recherche Plastique was founded in 1954 by Pierre Guariche (1926 – 1995), Joseph-André Motte (1925 – 2013) and Michel Mortier (1925 – 2015). The three young designers wanted to shake the codes of classicism by drawing new forms to create more accessible furniture and lights. All three met while working in the agency of designer Marcel Gascoin. In 1954, they take part in the Salon des Arts Ménagers (Household Arts Fair) and they receive numerous prizes. 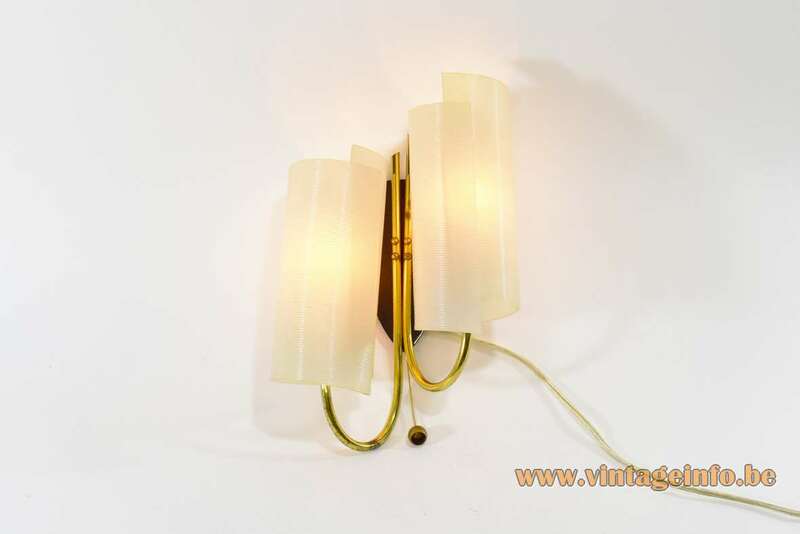 Their furniture and lamps were produced by companies such as Airborne, Disderot (Atelier Pierre Disderot), Meubles TV, Huchers-Minvielle, Luminalite, Steiner and Rotaflex. The ARP, Atelier de Recherche Plastique did not last long. 3 years later in 1957, the company will end. In Germany it was Sompex Licht und Form, Rolf O. Burghard KG Düsseldorf, who produced and sold them. In Belgium and some other countries in Europe they were sold by Massive. Disderot produced and sold them in France. Philips from The Netherlands had some lamps in their collection. 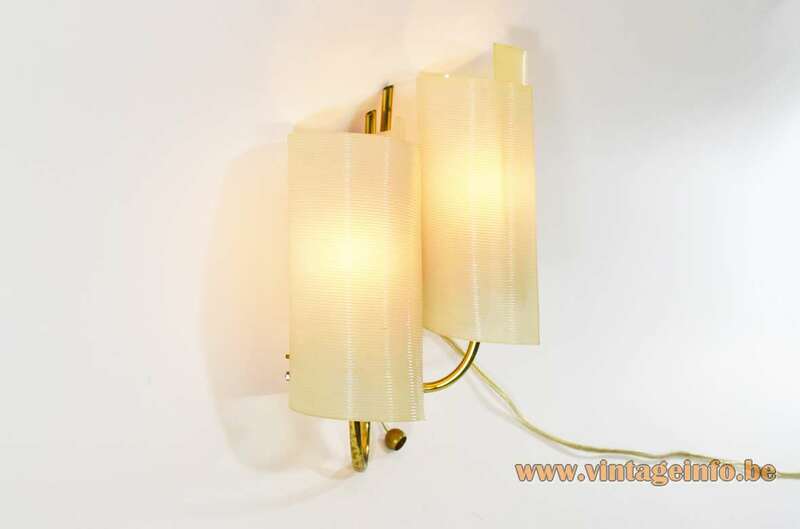 In Sweden these lamps were named Rotoflex and they were produced by Bergboms. Designers: Alf Svensson, Bertil Roos, Sigvard Bernadotte. In Finland they were sold by Oy Plastex AB and Stockman ORNO. 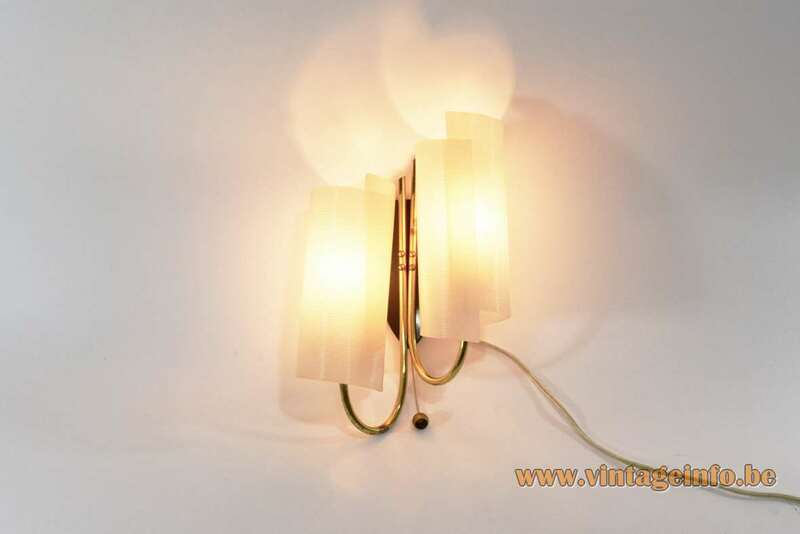 You can find several lamps in the catalogue here on Vintageinfo. In the USA they were produced and sold by Heifetz, Lightolier and Verplex. Cellulose acetate is an early acrylic, sold under the trade names Rhodoid in France and Great Britain, Tenite in the USA and Cellon in Germany. It was first prepared in 1865. Cellulose acetate is used as a film base in photography, for eyeglasses, cigarette filters and playing cards. All the electric parts were made in the 1950s by VLM Components. VLM Components was founded in 1945 in Buccinasco, a small village near Milan, Italy. VLM Components is part of the Relco Group, founded in 1967. Today they are the owners of the brands Relco, Leuci, Relco Lighting, VLM Components and Segno. VLM Components became famous for the switches they produce which were designed by Achille Castiglioni in 1968.